These sweaters are perfect for any Kappa League young man. He'll look the part of a distinguished gentleman in these stylish acrylic cardigans. Here's the great part - They are fully washable. The initial price includes the sweater and embroidered logo over his heart. Make is classic by adding "KL" stitched lettering. 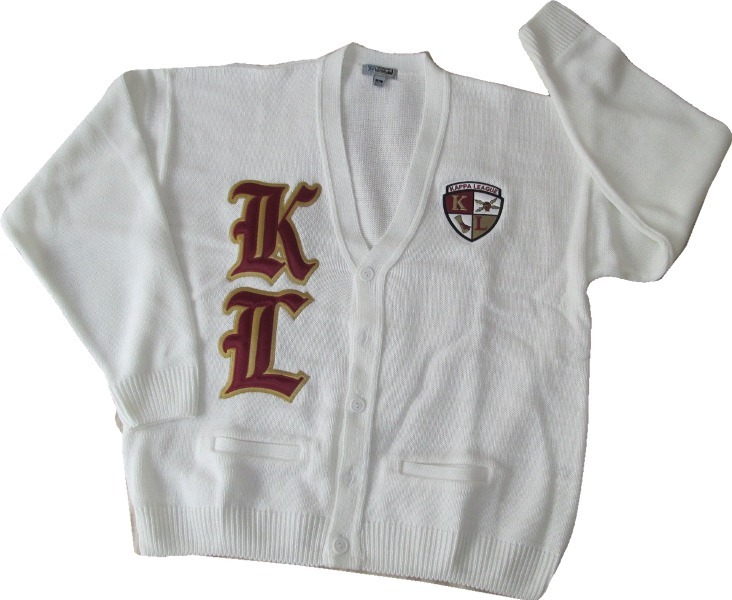 Even spell out "Kappa League" over each letter or add a custom name for that extra touch. *Custom name will be in letter background color unless otherwise noted in the "Comment" section on your order form. 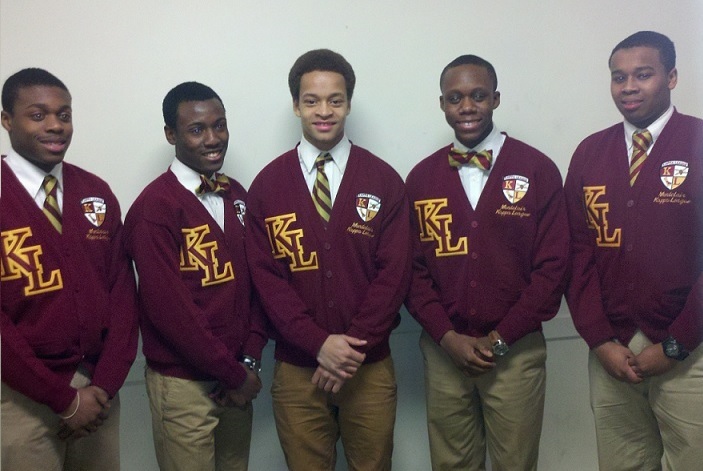 *Kappa Leaguers shown from the Montclair Chapter wearing burgundy cardigans, burgundy diagonal Roman letters, yellow gold letter backgrounds and custom lettering underneath their logo. *White cardigan to the upper left has vertical old English letters in burgundy with vegas gold backgrounds.